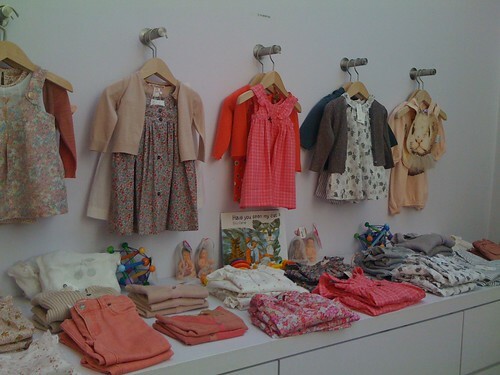 I took a quick window shopping trip through the many children’s boutiques in Soho after work yesterday. 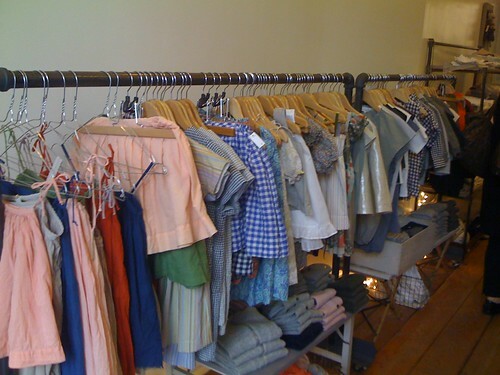 The wee blouses, dresses, sweaters, and pants were so adorable, but so completely out of my price range. I would have balked at paying those prices for myself, much less for someone who would double in size in a few months. Okay, maybe I’m exaggerating a little, but Olivia is outgrowing her clothes pretty quickly. Maybe I can justify it as a business expense (i.e. styling for knitwear photoshoots)? The clothes were really well made. And mostly from France (made in China though). Some quick cell phone snapshots from my afternoon…. I went to Kisan Concept Store, Makie, Les Petites Chapelais, and Bundle (no photo). There was an article about this very subject earlier this week in the NY Times. 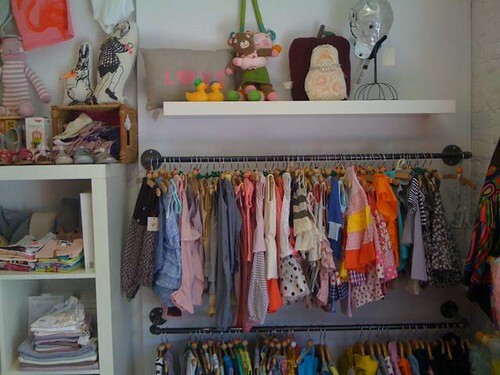 But, are there any decent kids’ clothing consignment shops near you? Or perhaps you just wished you had the time, skills, space and equipment to DIY? I made that style of clothes for Iris. Really nice fabric and non-scratchy thread, single needle clean finishing as much as possible (enclosed flat-fell or French seams)… Boy, it could be fiddly w/ the small curved seams, but she was beautifully dressed! This post is definitely making me covet a bit. Must. Look. Away.